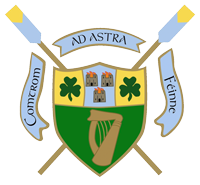 UCD rowed to a convincing victory in the 62nd Gannon cup on Saturday. The whole event played out on relatively calm waters beneath blue skies which belied the unusually early date of this year?s colours races. Tensions were high as the crews lined up before a crowded O?Connell bridge, both eager to take the early initiative. UCD, rowing on the south station, managed to nullify the early advantage which their DUBC rivals enjoyed on the inside of the first bend. As the race went on UCD relaxed into a fluent rhythm and extended their lead to over four lengths by the time they reached the finish line at St. James? Gate. This victory is UCD?s third in three years, and will without doubt rank among the most emphatic in recent colours race history. Unfortunately, while the Gannon cup shall reside in UCD?s trophy cabinet for another year, the same cannot be said of the Dan Quinn Shield. Nevertheless, the race was quite a spectacle, with the lead being exchanged on a number of occasions. Ultimately DUBC?s novices managed to find an extra gear in the crucial closing moments, and UCD were unable to respond. Despite this, it is clear that there is enough potential within the squad to change fortunes in future events. In many seasons it is the case that early defeat provides the impetus which leads to subsequent victories. With the Gannon cup behind us, focus will now return to head racing, which will take the form of Dublin Head on the 20th of March, and London Head on the 26th.